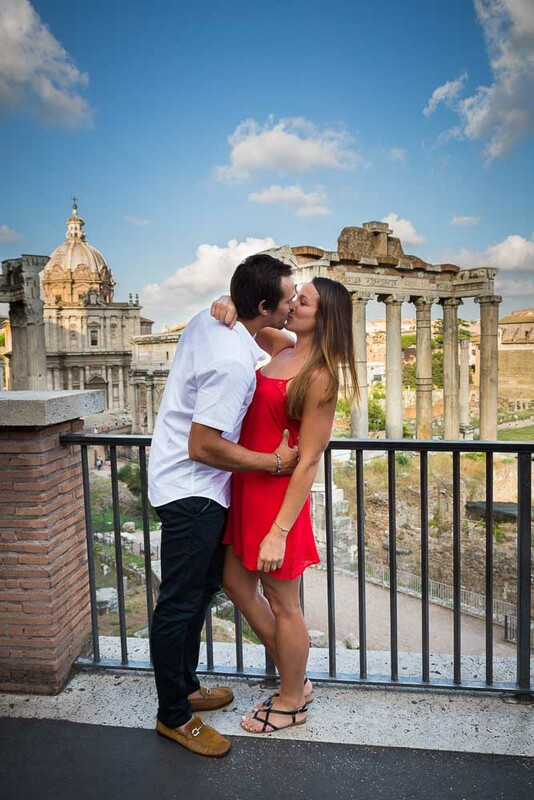 This was a great day in Rome for an engagement session. Starting in the late afternoon and into the summer evening. Driving from place to place to capture some stylish and unique photography. 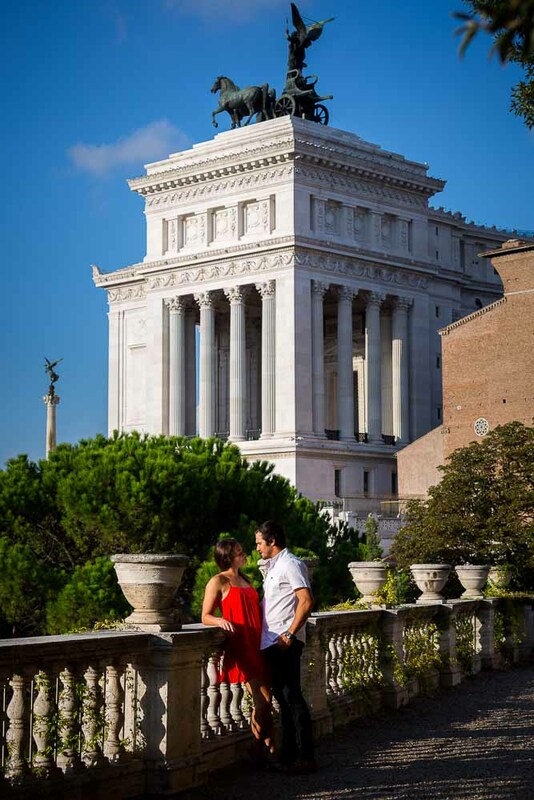 We started the session overlooking the Roman Forum from the Roman Capitoline hill. But we were just getting warmed up as some more stunning pictures were just ahead! 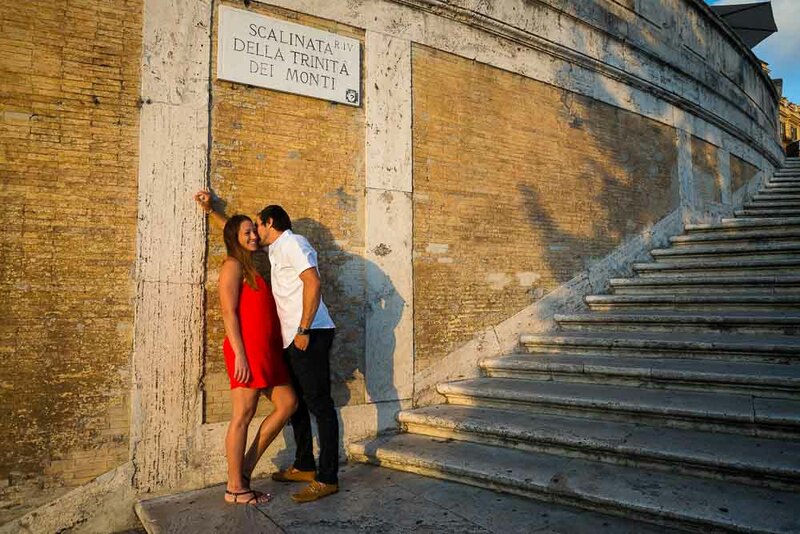 We stopped by this inspiring staircase and then moved on to take more photos underneath the ancient columns of Piazza del Campidoglio. I just love how the sun setting light was shining through the columns creating these dark / light areas which made the imagery so interesting. 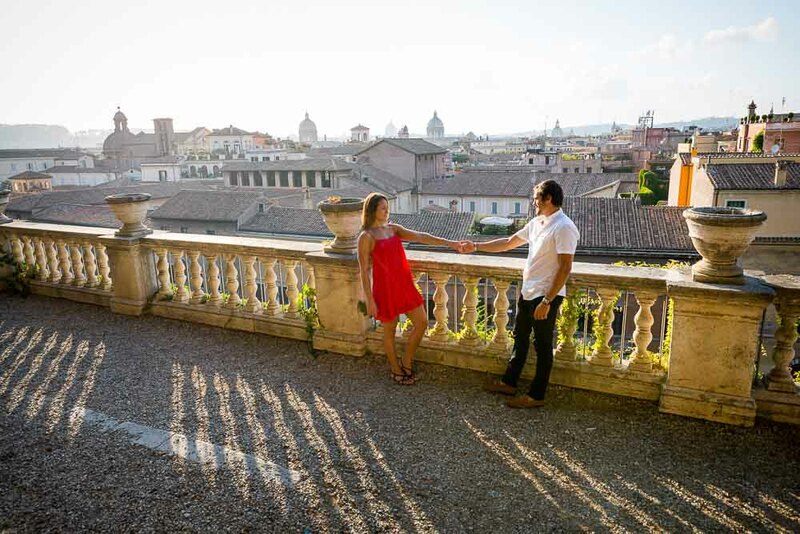 Then the stage was set for some really nice sun setting shots by the marble balcony overlooking the roman rooftops. I was trying to shoot against the light here in search of some creative effects. 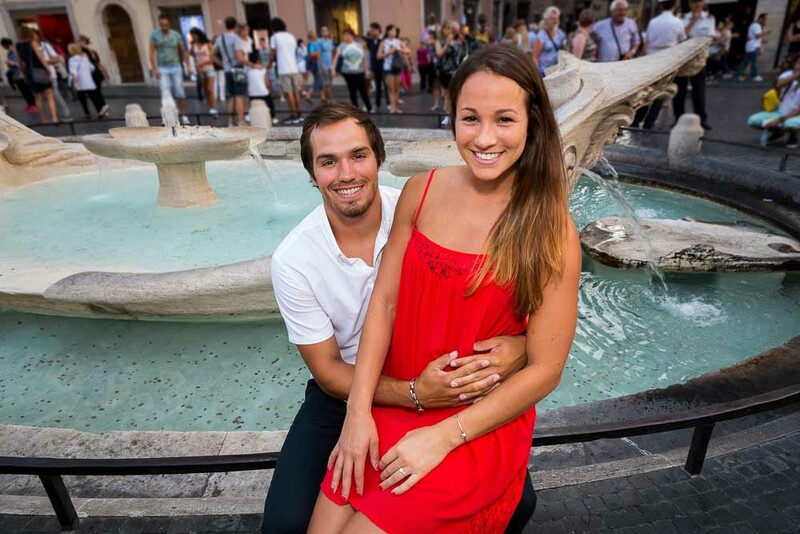 I think we found some nice photos. Then it was onward to the Roman Colosseum were more interesting pictures were just waiting to be taken. Like the jumping in the air shots. We had some nice laughs trying to stop motion at the right time! Love the silhouettes as well! Then we were off to our final destinations: the Spanish steps shooting on the stairs and down by the Barcaccia water fountain. 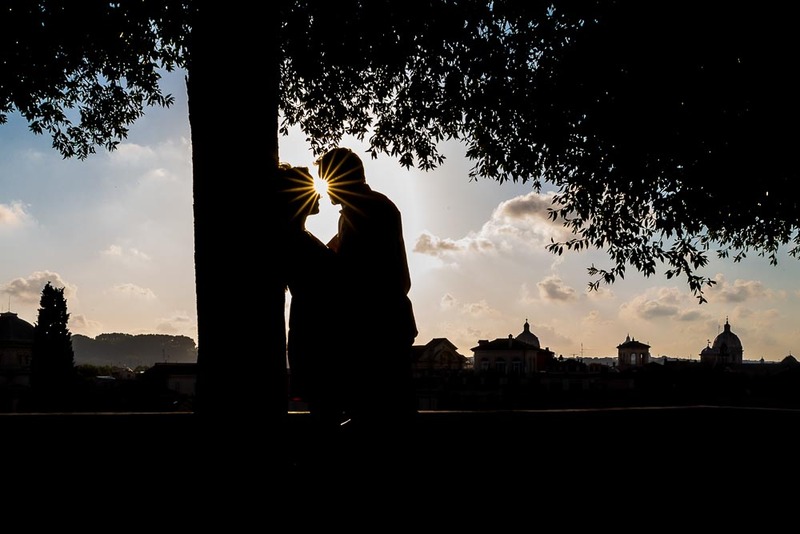 Ending the photo session at Parco del Pincio with a truly unique view over the city of Rome at sun down. The engagement ring in the sky! 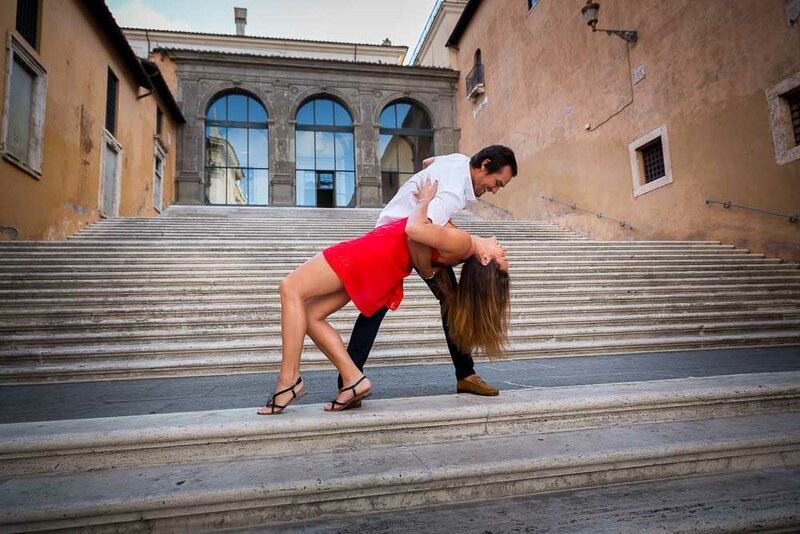 A splendid engagement session starting from the very ancient part of Rome, the Roman Forum from Piazza del Campidoglio. Then onward by car to the Roman Colosseum and the Spanish steps. Finishing up with a wonderful view from above from Parco del Pincio.